The central province of Nghe An is striving to lure eight foreign direct investment (FDI) projects worth US$100 million in 2018. To that end, the province is working actively with international organizations to call for FDI projects, namely the Japan International Cooperation Agency (JICA), the Korea Trade-Investment Promotion Agency (KOTRA), the Association of German Chambers of Commerce and Industry (DIHK), the American Chamber of Commerce (AmCham), the Australian Chamber of Commerce in Vietnam (AusCham), the Dutch Business Association Vietnam (DBAV), the European Chamber of Commerce in Vietnam (EuroCham), and the Hong Kong Chinese Enterprises Association. Nghe An will also accelerates the progress of existing ODA projects covering a range of fields, including infrastructure development for Vinh city funded by the World Bank, the upgrading of irrigation systems funded by JICA, and the upgrading of infrastructure in flood-prone areas funded by the Saudi Arabia Fund. The province will review the list of prioritized projects and sectors calling for ODA and preferential loans from sponsors by 2020. The locality expects to mobilize US$2-3 million from international non-governmental organizations (NGOs) in 2018 for its approved projects, in line with the province’s plan for the 2017-2020 period. Together with expanding cooperation and seeking measures to effectively lure FDI projects and international aid, the province will also make greater efforts to expand export markets, in a bid to earn US$950 million this year. 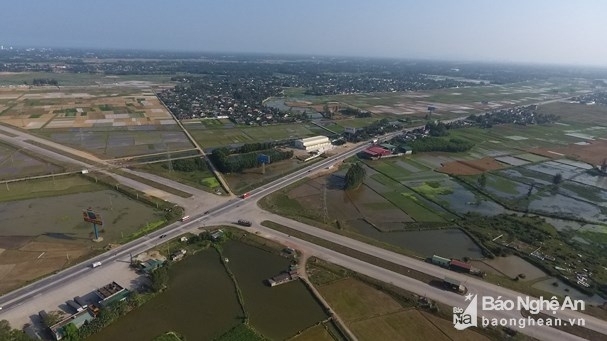 Currently, Nghe An has established cooperative ties with numerous foreign partners, which have been proven effective in boosting the province’s socio-economic development.